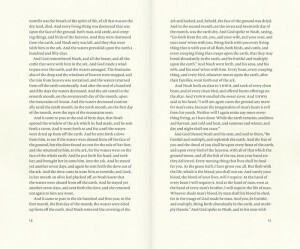 When book designer Adam Lewis Greene put a Bible-without-chapters typographic design project up on the crowd funding site Kickstarter in June he expected to raise $US37,000. But when the crowdfunding appeal closed on Sunday he had raised over $US1.4mill. 14,884 people from around the world had pledged funds. The project is borne out of Greene’s desire to produce a Bible for the reader, no footnotes, chapters or verses. No thin crinkly paper. A brand new typeface. Generous margins. A Bible produced to be read with pleasure. In many ways Greene’s “Bibliotheca” project is a return to the earliest Bibles. Whether on scrolls or in codexes (books), they had no chapters or verses. No cross references. And they had to be in a large font because they were hand-lettered. Bibliotheca will be printed in four volumes. Generous-sized type on thick paper makes this necessary and it provides a link to the early Bibles as well, which were often a library of several volumes. Greene has invented a new typeface for this Bible, which he’s based on the idea that the ancient scribes had a “set aside” form of lettering for holy books. He has digitised his own hand lettering to achieve the look he wanted. The process is shown in his promotional video on his Kickstarter webpage. One magazine with a sense of humour headlined this story “The Bible is a mess, but a designer is fixing it”. 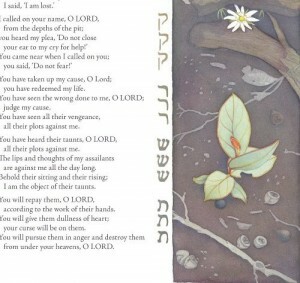 A local Australian version of the same approach is “The Scrolls Illuminated” by artist Fiona Pfennigwerth, which contains the Song of Songs, Ruth, Lamentations, and Esther. This year she published the Gospel of John. 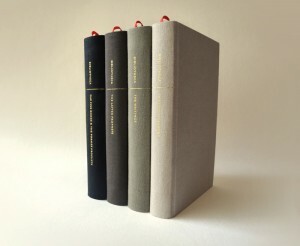 Most Christians will be happy with their one volume Bibles with chapters and verses, but Greene’s project indicates a desire for a Bible that is read like a normal book. Greene’s book reminds us that the Bible flows as a text, rather than being something originally meant to be designed verse by verse. “Manuscript discovery” was introduced into Australia by a former head of the Australian Fellowship of Evangelic Students (AFES), Tony McCarthy. This process takes out chapters, verses and footnotes and simply hands the reader the free flowing text of the Bibles. “The goal of [the manuscript discovery] method is to present a literary text to a group, which considers it as a whole, with the aim of exploring its structure, content and the original writer’s purposes,” recounts Pfennigwerth. “It begins by members individually reading straight through the text to gain a first impression of it, a second reading to build on that, and many more to gain deeper and deeper understanding, similar to an archaeological dig from the surface down. Changing physical properties of the Bible can be a spur to reading it anew. Fiona Pfennigwerths book is available in the Bible Society Bookshop.